In the spirit intended, what a sad epitaph for the church and the saints and even sadder that too many of the members cannot even see the reality if Br. Romney fights to dethrone Trump. Is it pissible The Church may be seen as a collection of rich, vain and ambitious authoritarians, realizing many believe lds women are less than equal in the church and the family? Forbid the fact Romney might represent a back slide for womens rights ( no not planned parenthood), rather equal pay for employment, etc. Owning and driving cadillacs may not be endearing, and recent generations of wealthy genealogy may look a bit like a “Bush” regime. If the church or the Romney’s were famous for helping the “poor”, for serving the disadvantaged and for philanthropy for others (beyond moments of dam breaking disasters in LDS areas or shipping items internationally- a meagre proportion of our tithing and fast offering funds), Romney could at least be deemed a possible socialist or crazy zion-building religious zealot., but no fear that’s not probable. Br. Brigham once stated, as our prophet, that if we became too well received or integrated into the mainstream it would be evidence of …. (Please hunt up the ” rest” of the quote for yourself, and gain a bit of church history education, and possible exposure to Isaiah’s pronouncements of our Latter-Day status). I’m going to stay anonymous for my opinions here, because my fellow LDS members will not be pleased with my perspectives. Just for note… I’ve played in politics as a campaign manager for a worthy LDS gentleman, who won his seat, so please don’t discount my views. If Romney were to enter the race, would it be the Church urging him to do so or the GOP? Either way we’re faced with tough decisions. I suspect that the only way for Romney to defeat Hilary would he for the church to allow women to have the priesthood. Interesting dilemma for the LDS church. Otherwise she would clobber him with that club constantly. Romney may be a Mormon, but it doesn’t mean that he’s a righteous man. How can you trust a man who attends the Bilderberg meetings? You can’t. 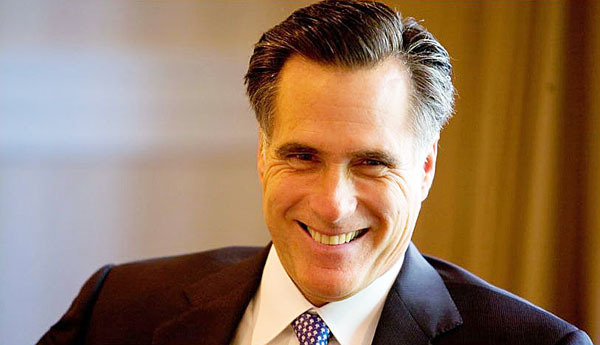 Mitt = definition of hubris. I’d suggest that Mitt will not save the Constitution as he would have been just as apt to violate it as nearly all 20th century U.S. Presidents and Congresses have. What makes Mittens any different? Sorry, I believe that the Constitution was on its thinnest thread when the Senate refused to convict the correctly-impeached President Clinton. The Elders of Israel in Congress failed to stand up or speak up enough, or effectively when the did speak. And I believe that the thread done snapped with the combination of Mr. Romney deferring a Constitutional question to Ron Paul in the January 7, 2012 campaign debate, Congress failing to bother with even holding a vote concerning Obama’s over-reaching “executive actions” that one liberal blogger justified because Congress wasn’t “doing its job” (so much for separation of powers), and the US Supreme Court’s decisions on eminent domain for private developers, “tax and spend” authority for ObamaCare, and abandoning all rules of statutory construction to go beyond the plain words of ObamaCare’s cunning design to almost blackmail states into setting up “exchanges” because federal insurance premium subsidies were plainly in the law NOT authorized for states without the exchanges. In all cases, I am unfortunately among those who failed to raise enough of a hue and cry over this governmental misconduct. But I don’t have a national voice, Mr. Hatch!!! So, I believe that the thread snapped a few years ago because of our own collective failures to take the Book of Mormon AND our civic responsibilities seriously enough, and perhaps other Church-wide shortcomings. Without the Lord being able to fight our battles, the Supreme Court has become unmoored, and any saving of the Constitution must needs be a de facto re-enactment of a document (as amended) which is now feeble. Uncle Mitt has always been a fat toady for the establishment. If you didn’t think so before, this week proved it? Mitt is to us, the “very elect” (even potentially president elect) deceived.